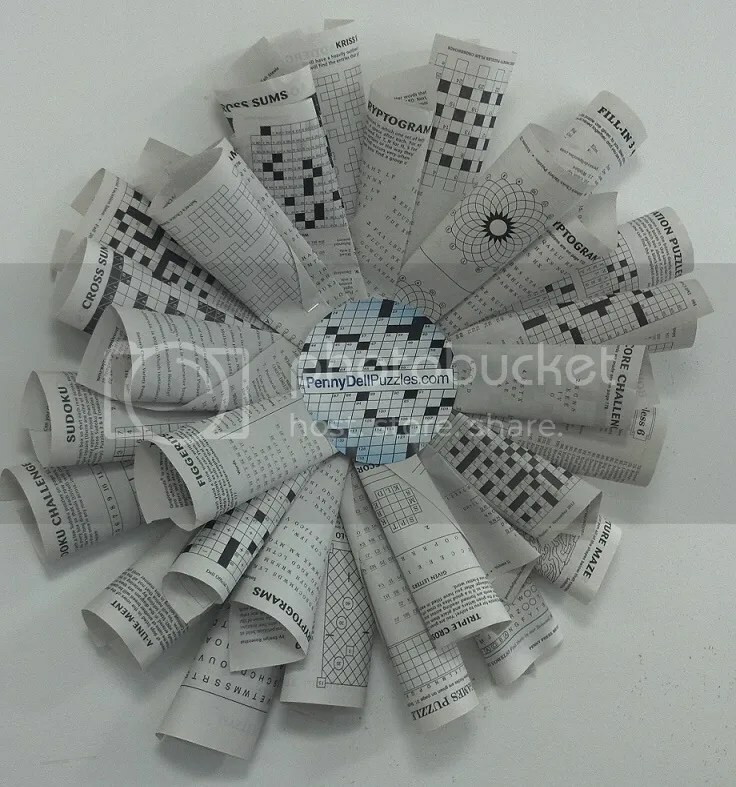 Deck the Halls with Loads of Puzzles! Merry Christmas, puzzlers and PuzzleNationers! I hope you’re having a marvelous holiday! One of the integral parts of the holiday season is decorating, decking your halls in all manner of festive holiday fun. Whether it’s Santas or garland, mistletoe or sleigh bells, a Christmas village or little dancing reindeer, everyone expresses their holiday spirit differently. Naturally, around here, we couldn’t resist adding some puzzly flavor to our holiday decorating. 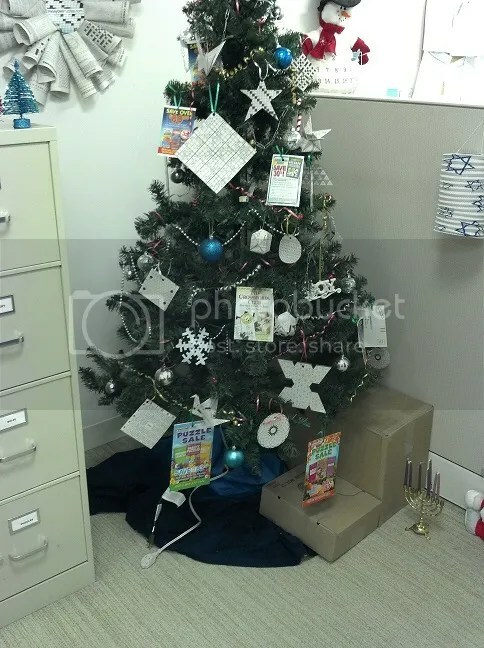 I put my origami skills to the test to come up with some puzzle ornaments for the tree my friends at Penny/Dell Puzzles were putting together, and I think the end result was something pretty terrific. Here’s the tree in progress. You can already see some puzzly touches like a Mega Sudoku front and center there, as well as a wreath on the wall behind the tree! 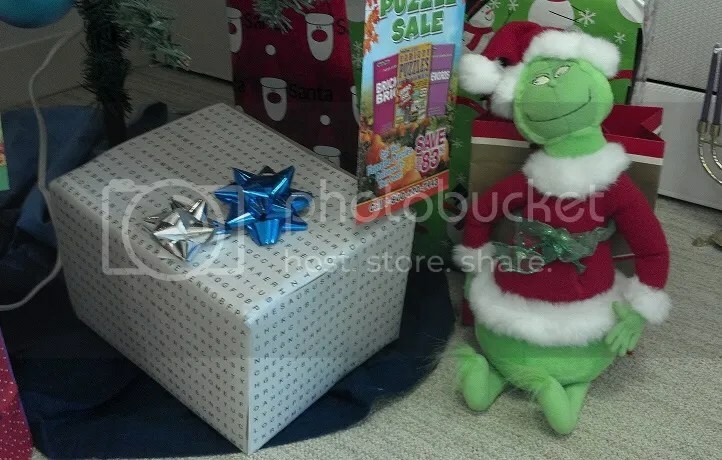 Let’s take a closer look at that wreath! 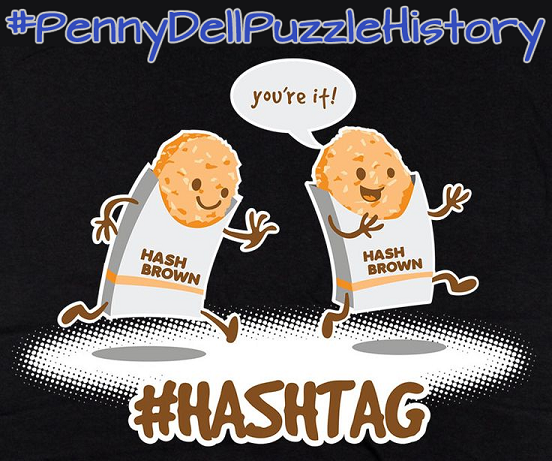 Darcy did an outstanding job on it, and you can see a lot of flagship Penny/Dell puzzles represented here, like Cross Sums (Kakuro), Codewords, Cryptograms, and Word Games Puzzles! 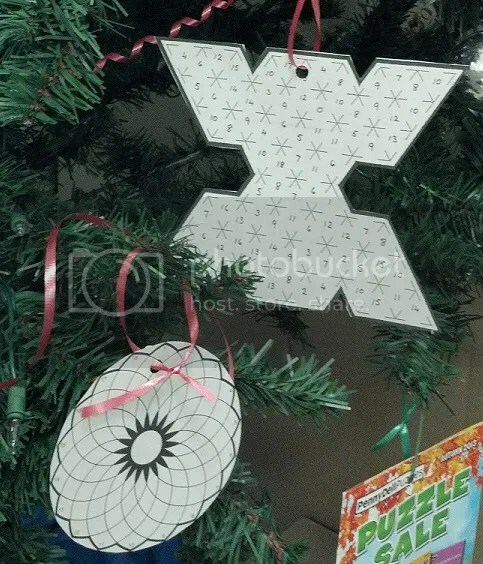 A few more ornaments, including a Flower Power grid in the lower left corner! 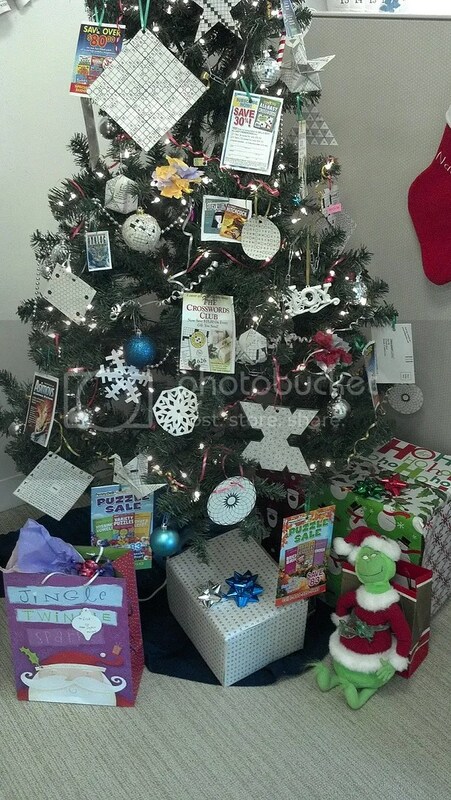 Here’s the tree in its finished state, all lit up and decked out with gifts. It looks great! The mix of traditional ornaments and puzzly ones really makes for a unique display. 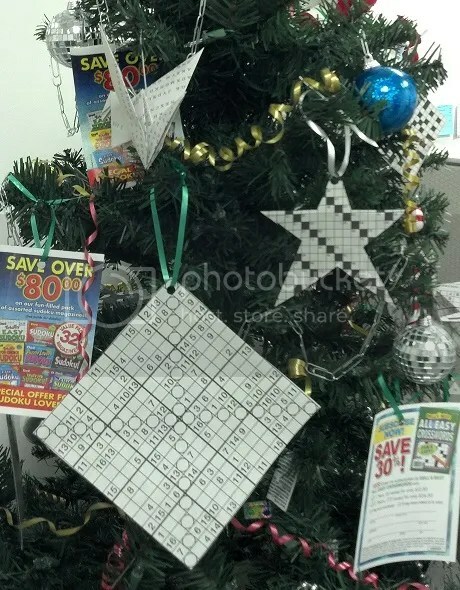 Are there any puzzly decorations on your tree this year, fellow puzzlers? Let us know! Send us a picture! We’d love to see it!